Come experience the joy of worship and the feeling of ‘family’ at Holy Communion. Services are at held at 2000 West Sixth St. which is handicap accessible. 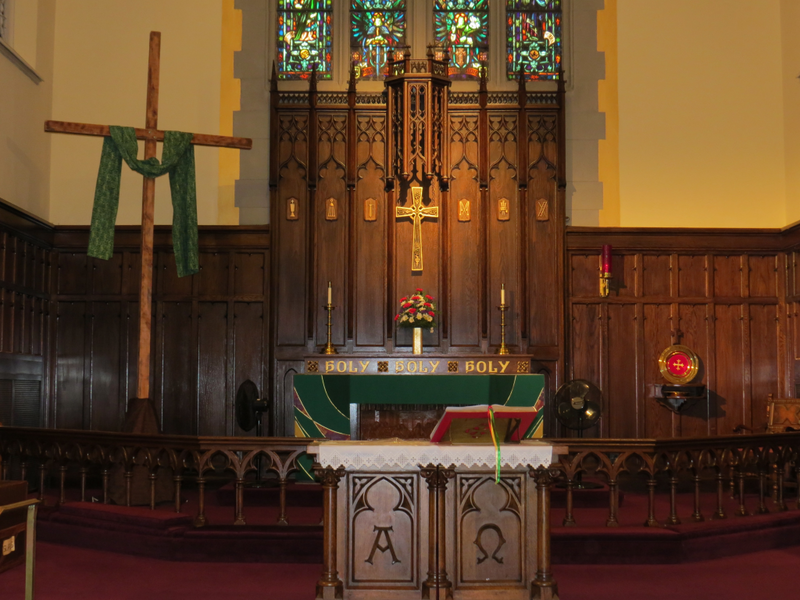 During the school year, there are two services: at 8:30 and 10:45 a.m. Summer worship is one service at 9:30am. Every Sunday during the school year features special music, either by one of our choirs (adult, children or bell), or a soloist or guest musician. Our children musicians are featured several times during the year in an offering of prelude music and the holiday season features all of our choirs performing. For parents, grandparents and caregivers with small children, a room is available in the narthex with books and toys if your child needs a break from the service. Holy Communion is offered at each service. Baptized Christians, of all denominations, are welcome to receive the Lord’s Supper. ALL ARE WELCOME to receive the Lord’s Supper at Holy Communion. Children who have not yet received First Communion are invited to come forward for a blessing. We receive communion by intinction – once you receive the wafer you are invited to dip it into the wine. Gluten free wafers and grape juice are also available from the acolytes (who are standing in the middle). 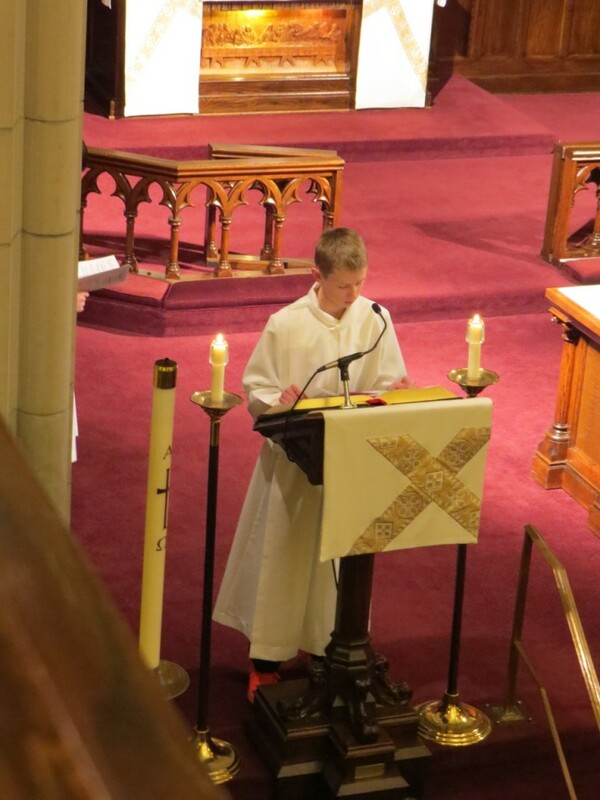 Communion is served at the front of the main aisle except for the first Sunday of the month when it is served at the altar rail. Holy Communion offers worship styles for everyone. 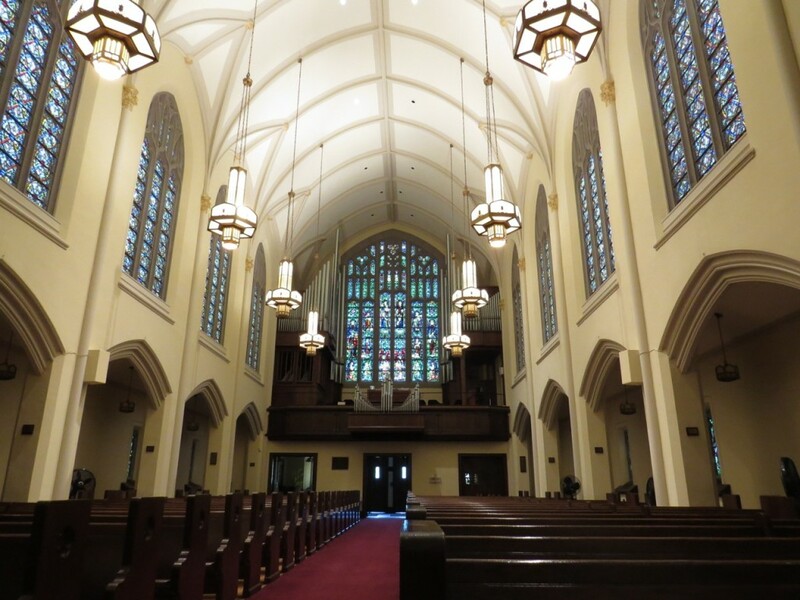 We use the traditional Lutheran Worship accompanied by piano and our Casavant Pipe organ. For those who like a more contemporary feel to worship, Oh The Joy!, written by Greg Berg in celebration of our centennial in 1998 serves as the liturgy once a month. Oh The Joy! is a beautifully written modern liturgy celebrating the love of Christ and the joyfulness of worship. In 2016, we’ve introduced a new contemporary service with guitar, piano and drums and prepared by Kate Potter-Barrow. 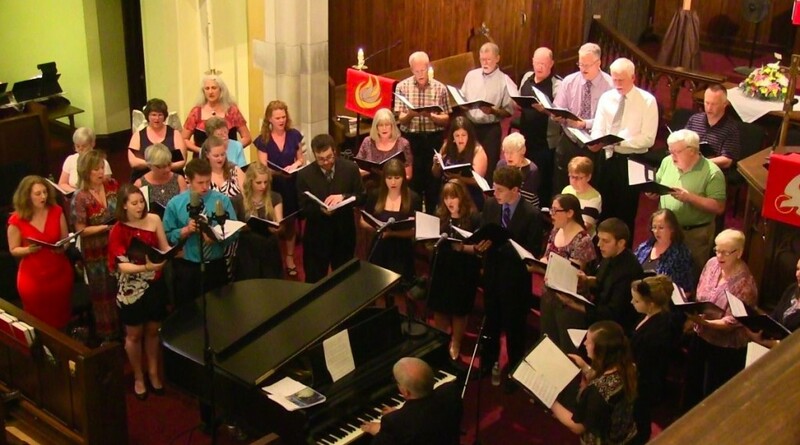 This service uses modern hymns with a theme of justice and hope for our world. 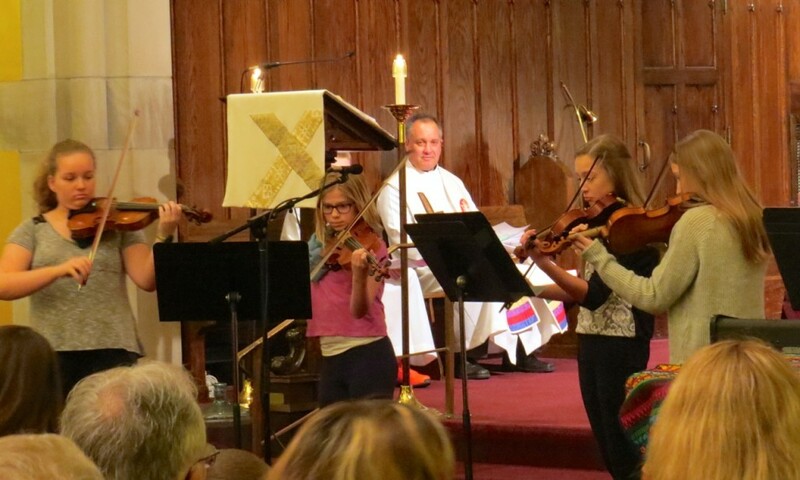 Many times, we have a children’s prelude prior to the service to highlight the many musical gifts of our children. No matter your worship taste, we have a service for you. Come and worship, ALL are welcome in this place! 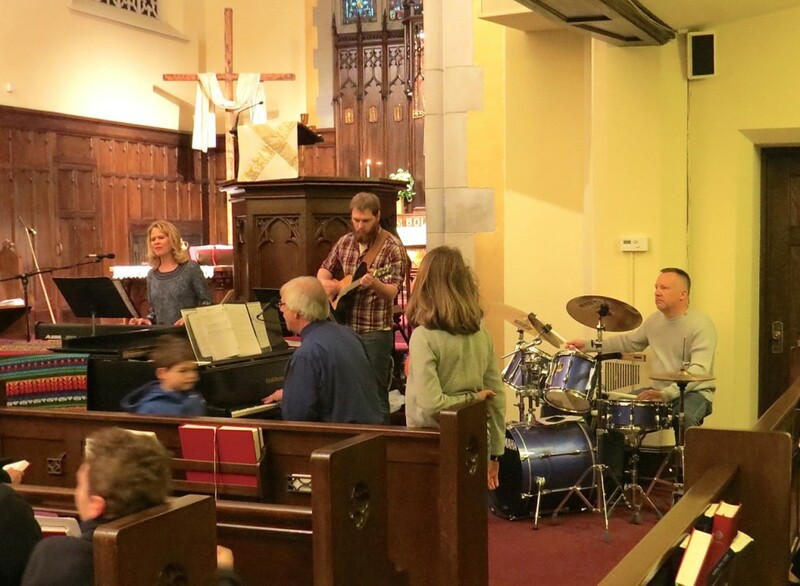 Click here to learn about music at Holy Communion!